This year, we went early to get a lot of things done with the farms we work with. We completed our visits to Costa Rica and El Salvador, but we'll report on those coffees later. Right now, we just got back from Guatemala and have a few updates to report. The one everyone is interested in is El Bosque, the farm with the heirloom Bourbon outside of Antigua, Guatemala. Bosque started out as a wild farm, a beautiful and untouched place with great potential. After four years of care and reworking, we are starting to see some great new changes. First off, new plantings from the cherry of those 70-90 year old trees are coming to fruit soon. 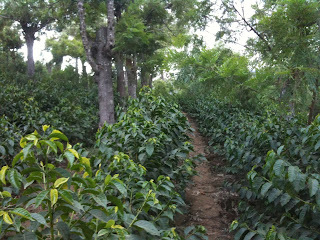 That means, the production will increase but it also means the preservation of these trees. They were referring to these in El Salvador as 'Elite' Bourbon so we are going to adopt that nomenclature in this post to distinguish it. It's defined by the much taller tree with more space between branches, the distinct angle of the branches, and that these are the older heirloom trees we associate with El Bosque and it's resulting flavor profile. The really old trees (70-90 years) always had issues of low yield and high rates of defects (higher attrition when sorting). 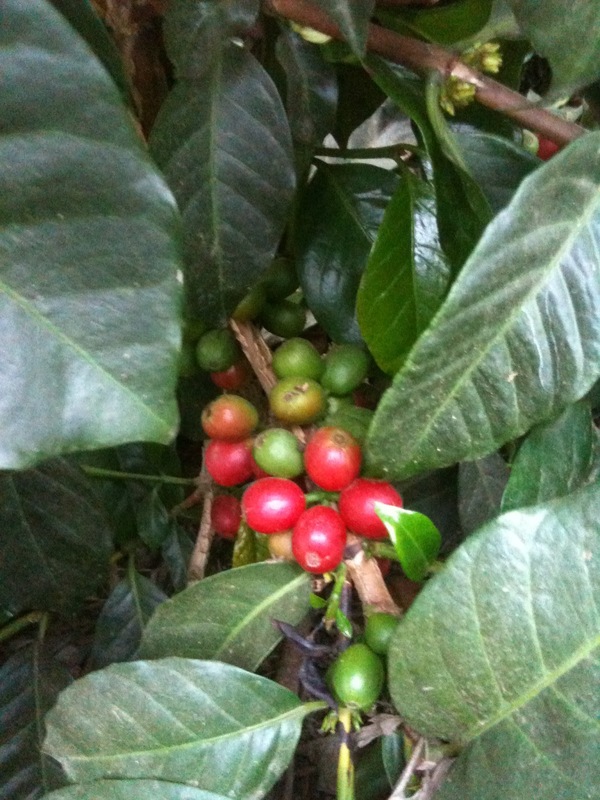 Seeing younger plantings come to fruit soon should help out with that and hopefully retain the characters we like about the coffee. It's not just the 'Elite' Bourbon that's there, they have the local Bourbon planted at many farms Luis Pedro Zelaya works with called Bourbon 300 (Bourbon Trescientos). That's a more disease resistant, shorter height, and higher yield Bourbon that Luis selected for planting. Bosque also has plantings of the more common Yellow Caturra and Pacamara. What excites us is the new Villa Sarchi planted on the farm that's coming to fruit and maybe next year we can bring some in. The first harvest of it probably won't cup out well enough to be anything notable. Along with that, we have some Orange Bourbon (from El Salvador) and Yellow Bourbon (from the original Yellow Bourbon trees on Bosque) planted and a little mix of Ethiopian varieties that need more time to evaluate before planting more. The farm manager and also the owner of the mill that handles this and many other coffees will be in town soon to present more about the mighty progression of El Bosque. Buena Esperanza is the other main farm we work with in Guatemala up in the mountains of Huehuetenango. This year, that farm is blowing up after placing well in the Cup of Excellence. Gustavo has been quite busy with all the for traffic of new coffee buyers trying to bend his ear, but the Esperanza has scored well and continues to build an international following. We see the coffee cupping well and expect things to move forward in our relationship. Since Gustavo will be in town shortly and many of you can meet him locally, we'll hold more of the details for him to personally pass them along.